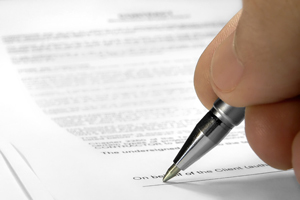 The above stated services facilitate in removing all kinds of inefficiency from the custom clearing process. Additionally, these help in saving a lot in the original cost and also work towards increasing the revenues. A few years ago, logistics and transportation services were not as up to date as they are now. These days, most of the custom clearance services have incorporated many important services such as information integration, transportation and inventory management. Most of the companies in this field have gained good experience in fields such as packaging, warehousing and material handling. These companies offer services as per the product that required to be transferred. Manufacturers and distributors from around the world often rely on the services of air freight forwarders to handle the logistics of delivering products that are shipped by air to international destinations. An air freight forwarder is a person or business whose responsibility it is to manage freight from the time it leaves a company's warehouse until it arrives at the consignee's door. Air shipments often are very expensive, so the air freight forwarder typically will handle smaller shipments and time-sensitive cargo. The freight forwarding process usually begins before a shipment is ready. The air freight forwarder will negotiate rates with commercial air carriers and provide routing options to their customers. Their high volume of business allows air freight forwarders to provide competitive rates that allow businesses to maintain profits. In addition to securing competitive rates, an air freight forwarder also can provide insurance for the shipment. This small, additional cost can be very beneficial. Insurance coverage protects companies from profit loss by providing replacement compensation for lost or damaged shipments. After the freight is ready, the air freight forwarder will book cargo space with an airline. Air freight forwarders will work with their customers to ensure that the products being shipped are in compliance with the destination country's regulations. They will provide instructions on packing and labeling to make sure that the products arrive securely. Additionally, they will submit the appropriate documentation, such as bills of lading, commercial invoices or certificates of origin. Air freight forwarders will work closely with international customs brokers to guarantee full compliance with all import and export regulations. Preparing Invoice: Create an invoice for international shipping, which contains all the relative information that customs will need to process the cargo. Port Information: Making arrangements for the pickup and delivery port, as he has many business contacts domestically and internationally. Warehousing Arrangements: Arranging and coordinating customs for bonding warehousing. Documentation: They complete the documentation, they arrange for the transportation of your cargo and they make sure that it gets to your customers. Cargo Tracking: They track your shipment and confirms its delivery. Sahyog Group has an efficient infrastructure to handle Cargo effectively and to provide complete assistance for Export & Import related Documentation. While providing our services to all industries we specialize in heavy industrial goods and engineering goods, e.g., Rolling mills, Oil field equipments, Cooling towers, Electric motors, All types of Transformers, OTS & Tower cranes, Control panels, Capital machineries for cable industry, Bailing press machineries, Packing & sealing machineries & Leaf springs, Home appliances, chemicals, PP granules, Rubber sheets etc. Create an invoice for the international cargo that you need to ship. This commercial invoice will need to provide all of the information that customs will need to process the cargo. Include your company information, the customer's information, the value of the cargo, a packing list and the dimensions and weight of the cargo. Request a price quote from a variety of freight forwarders. Research the qualifications of 2 or 3 potential freight forwarders. Request verification that they are licensed, bonded, insured and also ask for references and credit information. 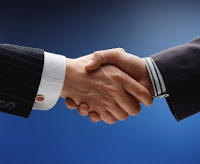 This information will help you to identify the good companies to work with. Select a freight forwarder to handle the process of shipping your cargo. Freight forwarders take care of everything for you. They complete the documentation, they arrange for the transportation of your cargo and they make sure that it gets to your customers. Select a freight forwarder and make arrangements to have your cargo picked up and delivered. Track your shipment and confirm its delivery. International freight shipping is a must when you are transporting your goods, or commercial cargo to another country. With several cargo and freight companies in the market, it often becomes too very confusing to know which one is good for your requirements and which one is really bad. You need to keep in your mind that in the competitive international market, only those overseas shipping or freight cargo company can really make the head way which can show you professionalism and offer you bountiful of reliable freight and cargo services at affordable rates. Further, the international freight shipping company should be updated and knowledgeable about freight shipping protocols, should they want to excel and beat the competition. Though you may come across crowd of freight shipping and cargo company, choosing a professional and experienced freight shipping company would really be an arduous task altogether. 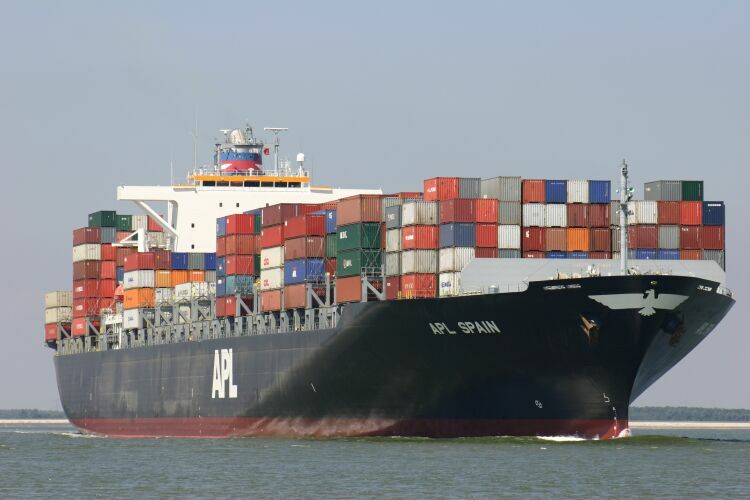 International freight shipping should be innovative in offering the services. It is necessary that the international overseas shipping company offering freight and cargo services should be flexible and innovative in offering the shipping solutions to the individuals as well as Import/Export companies altogether. The price factor is the very first thing which makes international freight shipping truly innovative in its service. Due to intense market competition many of the international freight shipping companies have just gone down in their price graph which they offered to the individuals as well as clients. It is also quite surprising to not that there are International Shipping Companies which are not aware about the freight and cargo movement protocols as followed in different countries. Therefore, your choice of international freight shipping company will depend on the total years of experience which the company holds in freight and cargo movement. Duty Entitlement Pass Book (DEPB) is a Duty Credit Entitlement issued on Post Export Basis to neutralise the incidence of Customs duty on the import content of the export product. Under the DEPB scheme, an exporter may apply for credit, as a specified percentage of FOB value of exports, made in freely convertible currency. On basis of content i.e. ferrous / non ferrous, alloy / non alloy, etc. If the export product is not mentioned in the DEPB Schedule, in such case, exporter should undertake the exercise of getting SION (Standard Input Output Norms) fixed for his product and subsequently move for fixation of DEPB Rates. For this, the exporter should be very clear of implication of custom duty and excise on input stage level for his product and effect of the tax component on his pricing. Transfer such DEPB to an Importer against consideration. IEC stands for Import Export Code Certificate issued by the Director General of Foreign trade registering an individual, firm, organization, entity, etc as an Exporter or Importer. An IEC can be obtained by any PAN Holder desirous of conducting Exports or Imports. Constitution viz. Change in Directors, conversion from Proprietorship concern to Firm, Firm to Company, Pvt Ltd to Public Ltd, change in Bank details, etc. PAN Details of the IEC holder. If your business relies on speedy and accurate delivery — promises kept — to make your customers happy, then having the right warehousing and distribution capability can make all the difference. Your goal with warehousing and distribution should be to eliminate blind spots and remove wasted steps by streamlining your supply management systems. As important as storage space is the technology that drives it. In order to be competitive, you need to know where your inventory is, how much of it you have, when to order more, and how quickly you can get it to your customers when they need it fast. Your warehousing and distribution system should easily integrate with supply, shipping, and payment systems, streamlining the entire supply chain function from start to finish, making it possible for you to provide rapid turnaround times and precision fulfilment. If your company struggles to control storage costs or fails to effectively manage inventory, if your warehousing and distribution costs often exceeds budget or spiral out of control, or if you have lost revenue and customers because of poor inventory management, Sahyog delivery service should be able to provide exceptional inventory management services. With up-to-the-minute inventory status, low-stock notifications, and a variety of usage reports at your fingertips, you should never be without the information you need to meet your customers' needs. Even if your business is complex in nature doesn't mean your customers shouldn't get the products they want when they want them. But balancing the demands of a global environment, customer demands, varying delivery times, an increasing number of items in inventory, and an overload of information to manage, your goal of meeting your customer's needs accurately and on-time often can be more difficult than is often considered. When combined with superior delivery options, you can once again focus on making your customer, and not warehousing and distribution issues, your number one priority. If you haven't shipped internationally in the past, then figuring out the mountain of paperwork that it can sometimes involve can at times be the most daunting task involved in the process. However, as long as you're dealing with Sahyog Group that has some experience in international shipping, the procedure can be fairly painless. The most important thing is to be sure that you take the time to sit down with your Service Provider and let them walk you through the process, and to show you exactly what forms need to be filled out for your specific shipment. The key word there is specific. One thing that many people don't realize when they're first getting involved in international shipping is that there are many different requirements for documentation when shipping across a border, than change based on the nature and the value of whatever you are shipping. So, just because one shipment needs certain forms to go with the one shipment doesn't mean that there won't be another form that you have to get as well when shipping something different. That is why you need to give yourself enough time in advance of your shipping deadline to always go over the specifics with your shipping company. Basic documentation for this kind of shipping is fairly straight forward. A commercial invoice and a bill of lading are going to have to go with every shipment that you send across an international border. You'll also need a customs broker to get you a certificate to get your items across a border. Where the more complicated documentation tends to come into play is when you're either shipping something that is of extremely high value, high quantity, or which is covered by a trade agreement. When you ship something that is covered under a trade agreement, you may need additional paperwork. On the other hand, if you're shipping very valuable goods or a large quantity shipment, you might need import or export licenses. Freight forwarders often play major role in transportation and in air transport agents also have great responsibilities and services to fulfil. 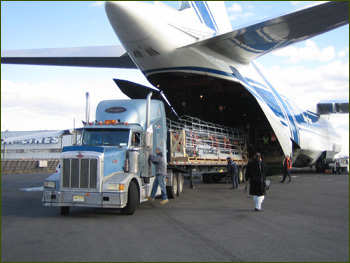 Air freight agents are well equiped with knowledge to import and export a consignment via airplane as air freights are costly to sea and road freights. Forward all inbound and outbound freights to their respective destinations. Make space for consignment properly by allocating exact space as per end terminals. See and collect bookings of international freights and local from customers, do all the necessary documentation, arrange pick up from company centers and drop to cargo plane locations. Calculate freight quotes by weighing load which may vary as per distance of locations. Should collect necessary document proofs from clients to process paper work and include all the information with the freight to avoid frequent custom checking, which makes delivery of cargo easy. Get in touch with customers when the inbound freight arrives. Have to unload the cargo and arrange for suitable and secure delivery means. Like trailers and containers if required for local consignment. Make sure that goods reach international destinations well on time. Prepare commercial invoice, bill of lading, shipper's export declaration etc. Founded a decade back with an aim of becoming a Single Window Service Provider for Exporters’ & Importers’ requirements, Sahyog Group has grown well in the market with a focus on complete Customer Satisfaction. Sahyog Group is managed by its Directors & a team of well experienced Managers under whose supervision entire workforce continuously works to ensure the best of services to clients to their fullest level of satisfaction. We take utmost care of requirements of Import & Export Documents right from opening up of Letter of Credit (LC) up to preparing the Bill of Exchange and covering letter required by your bank. So all you have to do is, submit your documents to the bank after handing over your invaluable cargo to Sahyog and everything else will be taken care of. To add more value to the services Sahyog also helps its customers taking the closest peek of risk & other related factors prevailing in the market in order to let them make the most informed decision for betterment of their business. For the same team of Sahyog keeps itself up to date with the latest change(s) happening in the market & Government Policies. Custom clearing is one of the most significant parts of overseas transportation for both importers and exporters. The best thing about these companies is that these are aided by the hassle free approval from varied government agencies for importing as well as exporting goods from one nation to the other. A custom clearing agent engages in communicating with both national as well as international government agencies. This is done on the behalf of importer and exporter. The agent also completes various important formalities required for the shipment clearance. There are many custom clearance agencies that offer specialized services in the field of global transportation. A customer clearing agent requires holding sound industrial experience and understanding of shipping process. This will help him execute the task perfectly and without any problems. Custom clearing agents are not government agents. However, they still require holding a license from approved government organization. This is what will help the agent to work independently in his field of work. These agents can either work independently or collaborate with any of the reputed freight forwarders, importers, traders, exporters and shipping companies. Consultant or advisors are experts having ample knowledge about a specific industry, field, or market. Knowing the ins and outs of some particular industry means that they are well equipped to help their clients, especially those who are relatively new in this field. You can also think of hiring a consultant, when you don't have enough time to personally look after some important project, or you can hire these consultants to train your staff. Import and export consultants are specifically helpful when you are looking to trade in new emerging markets. Markets like China or India may provide real business opportunities, but for a new comer, it is not a walk in the park to go and start trading with Indian suppliers, manufacturers, exporters, or distributors. If wholesale import and export was that simple, everybody would be doing it, since it can open a floodgate of opportunities for all kinds of businesses. What actually keeps all kinds of businesses from jumping into international trade are a number of obstructions. To start importing, one needs to have ample information about the documentation, laws, custom duties, etc, and that is where an import & export consultants comes handy. One option is to gather all sorts of information from the sources like internet, material published by the chamber of commerce, government authorities, and try to learn the ins and outs of international trade. However it will take a lot of time, and sometimes one doesn't have that much time to learn each and everything by themselves. Very few wholesale traders have this much time to go through booklets, research reports, and government policies themselves. And that's not all, in addition to the general import and export procedures; you will also need to get familiar with the language and the business culture in that particular region. As you can see, there's quite some learning involved before you can start importing. A more convenient way to manage all that is to hire an import & export consultant, especially the one who has sufficient knowledge and experience of wholesale trade, shipments, documentation, and the likes. As soon as the cargo is handed over to the forwarder, the client can easily rely on the agent. This is also the reason that clearing and forwarding agents are now getting huge orders in bulk from various reputed organizations. The main motive of a clearance and forwarding agent is to offer 100 percent assurance for safe and timely delivery of shipment regardless of weather or other conditions that may be a hurdle for such services. Almost all reputed clearing and freight agents hold good relationship with air, sea, and land transportation system such as trucking, rail and ocean liners services. A dedicated agent will always be ready to display his professional skills. Commercial organizations, the student community, professionals they all have their specific requirements from international freight forwarders. Any company offering dependable freight forwarding services can save the client untold time and potential headaches. They provide reliable transportation of products at competitive rates; thus becoming an asset to almost any company dealing in international transportation of goods. This can be especially helpful when in-house resources are not adept at handling international shipping procedures. Considerations that affect price of freight forwarding services range from place of origin and destination to special requirements, such as refrigeration or even delicate handling like electronic equipment. Transport of potentially hazardous materials is occasionally necessary and has its peculiar requirements. Assuming the client accepts the forwarder's bid, the freight is readied for shipping. The freight forwarding service then undertakes the responsibility of arranging the transport from point of origin to destination. When choosing international freight forwarders, check their record with reference to their guarantee that products will get to the proper destination by an agreed upon date, and their delivery in good condition. Timeliness can be a critical factor in international business with severe penalties attached to non-delivery of products within a specified schedule. The very reputation of a company can be at stake. Normally companies offering freight forwarding services utilize established relationships with carriers of all kinds, from air freighters and trucking companies, to rail freighters and ocean liners. 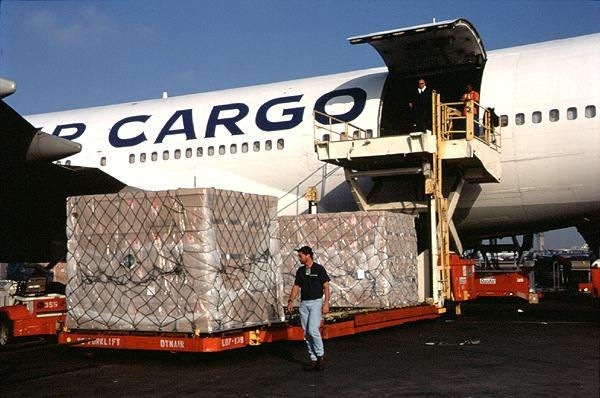 Air cargo, commonly known as air freight, is collected by firms from shippers and delivered to customers. Aircraft were first used for carrying mail as cargo in 1911. The type of item being carried. For example, a kettle could fit into the category 'household goods'. How large the shipment is, in terms of both item size and quantity. How long the item for delivery will be in transit. Airlines, freight forwarders and other supply-chain parties operate under limited liability conditions. This means you're unlikely to receive compensation equal to the actual value of your goods if they're lost or damaged. The full replacement value for consignments and any applicable freight costs should therefore be protected by adequate insurance cover. Logistics is the management of the flow of the goods, and services between the point of origin and the point of consumption in order to meet the requirements of customers. Logistics involves the integration of information, transportation, inventory, warehousing, material handling, and packaging, and occasionally security. Logistics is a channel of the supply chain which adds the value of time and place utility. 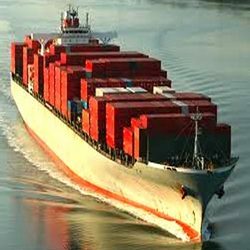 Sahyog Group offers a wide range of international shipping services in international logistics and transport. We work with the mission to provide our clients with outstanding services. Air freight forwarding is a mechanism by which goods of traders or businesses are transported to its destination. These services firmly assure that condition of the goods will be preserved and merchandise will be sent on the contracted rate. Sahyog Group provides Customs Clearing, International Freight Forwarding and related Services for all Export / Imports requirements. We also offer Consulting Services for all Export / Import related needs. We provide custom clearance and freight forwarding services. The knowledge of entire know-how involved all technicalities which enable us to provide hassle-free logistics solutions. We attain a prime position in industry as a logistics solutions providers. We ensure to induct world-class facilities and best internationally followed practices into our operations. Air Freight can be complex for the customer as there are many procedural formalities required. But not anymore. Sahyog Group provides the best solution for you without wasting your time and effort. Whether there is a need for consolidated or direct air freight forwarding service, our expert professionals are ready to route your goods to or from any port in India to almost any point in the markets we serve. Sahyog Group team assists you with the complete process each step of the way. Sahyog Group is a reliable freight forwarding company in India located in New Delhi. The company specializes in air freight forwarding, custom clearance, shipping, warehousing in India. We have handled shipment of any kind of oversize equipment/machinery, Heavy Lifts & Over-dimensional Cargo from door to door with detail planning and high quality service. We provide custom clearance and freight forwarding services with the help of our expertise. The knowledge of entire know-how involved all technicalities which enable us to provide hassle-free logistics solutions. We attain a prime position in industry as a logistics solutions providers. Sahyog Group has an efficient infrastructure to handle Cargo effectively and to provide complete assistance for Export & Import related Documentation. While providing our services to all industries we specialize in heavy industrial goods and engineering goods. Rubber sheets and many others. We provide custom clearance and freight forwarding services with the help of our expertise. The knowledge of entire know-how involved all technicalities which enable us to provide hassle-free logistics solutions. We provide custom clearance and freight forwarding services with the help of our expertise. The knowledge of entire know-how involved all technicalities which enable us to provide hassle-free logistics solutions. We attain a prime position in industry as a logistics solutions providers. We ensure to induct world-class facilities and best internationally followed practices into our operations. 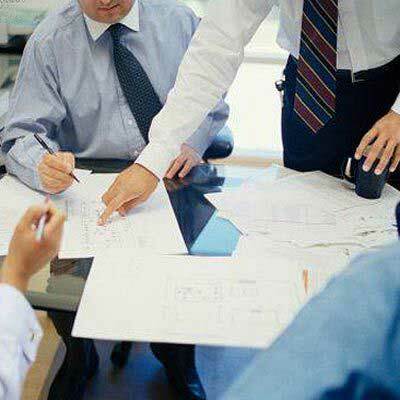 Our vast resources enable us to undertake any business order from the clients. We also provide Track and Trace services. Please call us at +91-11-2201-5854/55/56 to get in touch with our Export / Import Team for tracking status of your Shipment(s). For further details, kindly contact us. Sahyog Group provides custom clearance and freight forwarding services to our clients. The knowledge of entire know-how involved all technicalities which enable us to provide hassle-free logistics solutions. We have attained a prime position in industry as a logistics solutions providers. We ensure to induct world-class facilities and best internationally followed practices into our operations. Sahyog Group plays the role of a dependable partner and a one stop shop for all your freight related needs. The logistics and freight forwarding sector in India has witnessed a significant growth over the years owing to robust economic growth and expanding foreign trade. Freight forwarding agents and logistics service providers provide a range of services ranging from warehousing to local transportation of goods, freight forwarding, customs clearing, clearing and forwarding, packing, labelling, etc. Air freight forwarding is a mechanism by which goods of traders or businesses are transported to its destination. These services firmly assure that condition of the goods will be preserved and merchandise will be sent on the contracted rate. The freight companies actively coordinate with other type of establishments like trucking companies, product carriers, etc. for timely delivery of consignments. The freight delivery service provides the estimates and services to their clients. The freight cost varies depending upon the location where it needs to be sent. If the product which is to be sent requires refrigeration, then additional payment is charged by these companies. All the shipping and other necessary documents are arranged by these air cargo forwarding companies. Having proper documentation is essential for your international freight to arrive on time. Most delays are caused by missing or incorrect documents; make sure you know exactly what you should have prepared. International freight shipping is a complicated process that calls for the services of an international freight forwarder. International freight shipping requires specific documentation and goes through several customs checks. A freight forwarder organizes the carriage of your international shipment, helps handle and process paperwork, and ensures that your shipment arrives at the correct place on time. A Freight forwarders responsibility is to handle the shipment of freight across several carriers and modes of transport. A freight forwarder will arrange carriage—from origin to destination—contracting with carriers that will handle the freight as well as processing any necessary paperwork. Typically, freight forwarders are hired to handle international freight shipments. Good freight forwarding agent acts like a partners and help you with many more services. The Economy of India is the eleventh largest in the world by nominal GDP and the fourth largest by purchasing power parity (PPP).India's per capita GDP (PPP) was $3,290 in the year 2010. Following strong economic reforms the country's economic growth progressed at a rapid pace and has been attracting the best companies from the world to do business with India especially while sourcing their needs from India. You need a dependable documentation partner that can guide you through the whole process of guiding you throughout the process while sourcing your product or service needs from India. Arranging for insurance, and when required helping in making insurance claims. Preparing the documentation for transportation and import/export requirements. Warehousing of goods at ports awaiting loading or after unloading, awaiting inland transportation. As mentioned earlier, good freight forwarding agent acts like a partners and help you with many more services.